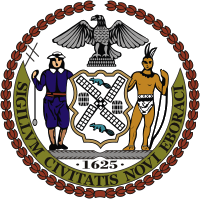 On March 3rd, 2008 the New York City Broadband Advisory Committee met at LaGuardia Community College in Queens. The Committee heard from many members of the Queens nonprofit, academic, and small business community. Furthermore, the Committee also heard from special guest former U.S. Senator Larry Pressler (R-SD), who was a member of Congress for 22 years: 18 in the U.S. Senate, four in the U.S. House. Senator Pressler authored the Telecommunications Act of 1996. You can find download links for audio and an iPod-compatible version of the video below.